Exposure to atmospheric conditions - humidity, temperature, light and acids - will damage and deteriorate your artwork or treasured item. Conservation framing is the best way of protecting and preserving your piece, whether it is fine art, textile, ephemera or photographic. The less an item is handled, the better. Oils and acids from our skin can penetrate into many surfaces - especially paper - and permanently damage your artwork. Over-handling can also damage fibres and crease artwork. 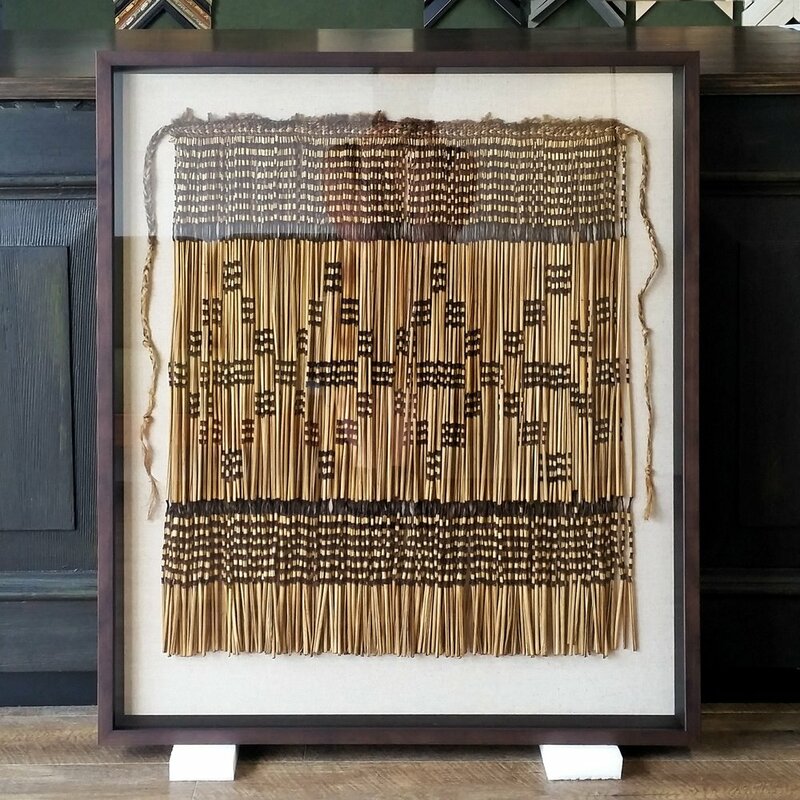 At Framing House the utmost care is taken when handling your artwork – gloves are worn at the appropriate stages, and your work will be safely stored while in our care. 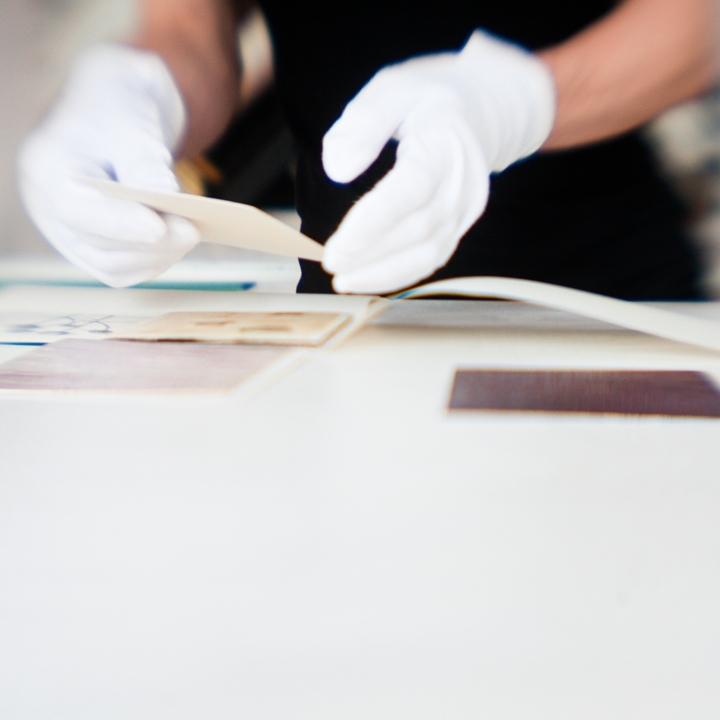 The backing that your work is mounted onto is an important element for preservation. Because full contact is made between the artwork and the backing, it must be free of acids. We use archival mounting techniques with the aim that any mounting should be reversible in the future. Works on paper are hinged or secured with corners. Embroideries and textile works are laced with linen thread or stitched in place depending on the needs of the piece. Matboard surrounds and spacers act to hold the glass away from the surface of the artwork, reducing damage due to condensation and pressure. Archival grade matboard is used, which is made of 100% cotton fibre, and is naturally acid-free. Framing House uses both the Cresent RagMat range and Bainbridge Artcare Archival range, providing hundreds of colour options for mat surrounds. Spacers are an alternative (or additional) option to a mat. They sit just beneath the inner edge of the frame to hold the glass away from the artwork, and can be made in a variety of finishes. For added protection we can seal the environment of a frame, and use aluminium sealing tape to prevent bleed-through of harmful elements that can migrate from wooden frames. We use paper framing tape to seal the outer backing into the frame. We offer a range of glazing options, which include Conservation Clear, Conservation Reflection Control (both block 99% UV light helping to protect your work from fading), standard clear glass and standard non-reflect. Acrylic is also available for oversized framing. Our frame mouldings are ordered from the leading suppliers in New Zealand, with a huge range of both imported and NZ made frames.